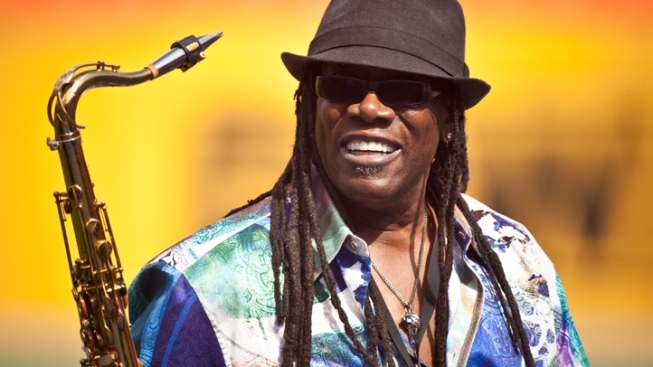 Clarence Clemons, saxophonist from The E Street Band, suffered a stroke this past Sunday. Bruce Springsteen is making a plea for "care and support" for his E Street bandmate Clarence Clemons, who suffered a stroke over the weekend. "While all initial signs are encouraging, Clarence will need much care and support to achieve his potential once again," Springsteen said in a statement Tuesday. "He has his wonderfully supportive wife, Victoria, excellent doctors and health care professionals, and is surrounded by friends and family." Springsteen referred to Clemons' stroke as serious. The saxophonist also reportedly had double knee surgery within the past year, performing a few concerts from a wheelchair. "I thank you all for your prayers and positive energy and concern. This is a time for us all to share in a hopeful spirit that can ultimately inspire Clarence to greater heights," Springsteen said. Clemons has been playing with Springsteen and The E Street Band since the early 1970s, when they met in Asbury Park, N.J.
Springsteen said anyone who wishes to send Clemons a message can write to notestoclarence@clarenceclemons.com. The address is for notes only, and not for questions about his condition.